Is there no mystery to compare with the vivid flashes of brilliance, when purple mountains turn to crimson and meet the full bearded, golden plains of autumn? It is then the sky is bluer than the deepest oceans, and dazzling shafts of sunlight flash down unscathed by the high altitude stillness. I was once told the jeweled crowns of Europe held the most vivid colors in nature. Whomever believes that, knows not of autumn in the Rockies, when nature’s crucible yields a palate the masters of the art world only yearn for. Then the Bison forage across the Yellowstone meadows, staggering toward winter in a slow and measured determination to eat everything in sight, both near, and far beyond their limited gaze.Massive as they are, fattened up for the deep frost, we are Lilliputians in their sight. Stoics of the plain, you trample all my worries. Are my worldly cares truly as small, as you make them feel? Though your eyesight is compromised, your vision is boundless. The elk are perfectly camouflaged, by marshes gilded and bronzed by the coming of winter. Cautious they are, of their calves, yet to be yearlings, and too gawky to take on the wolf packs, hidden from view. 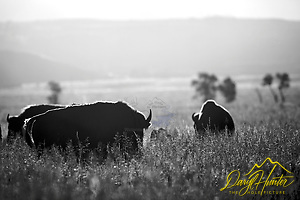 How can any single creature convey the vulnerability of a calf and the majesty of a wild bull? 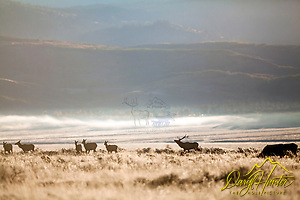 Elk herds bugle against a background of burbling brooks and trumpeting swans. The Canadian flocks arrived in Jackson Hole the last week in September. 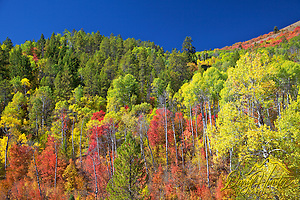 With brilliant autumn colors flaming the hills below, they must have enjoyed their flight. I thought they had come south early, but within the week I saw the local Targhee range freshly bathed in early October snow. As our world turns, what else do they know that we forget? 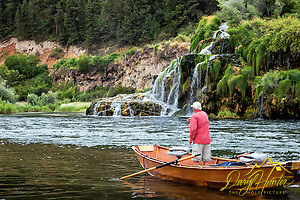 As the fly fisherman tempt their drift boats to dump them over the rapids, they seek to glean a glimpse of cutthroat trout’s silvery shapes flashing toward the floating hatch of insects they compete with. 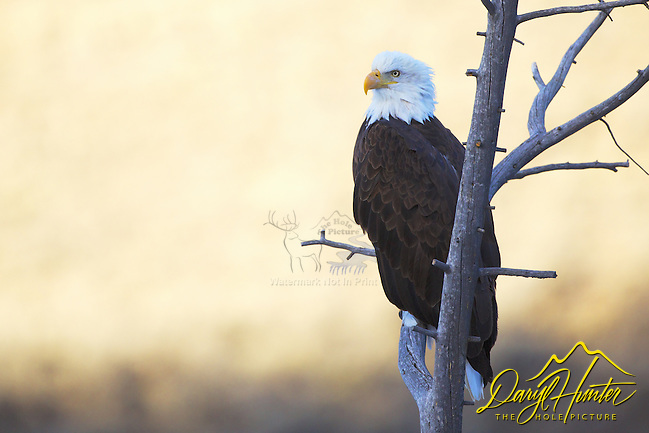 Far above them, the bald eagles sit on snags and bide their time. At certain moments they alone know when the choicest fish will be near the surface; they will swoop and strike and with a shrill cry, echo up the canyon’s with their victorious signals. Returning to the treetops, they will not just eat, but dine. Posted on Monday, June 20th, 2016 at 9:54 pm. Filed under: Blog, My Muse	RSS 2.0 feed. Fantastic, loved it beautifully written, pictures are also fantastic.